MPTRIFAC Assistant Grade I, II Admit Card 2018: The officails of the Madhya Pradesh Trade and Investment Facilitation Corporation Ltd will release the MPTRIFAC Assistant Grade I, II Admit Card 2018 on 7th September 2018. Candidates who are willing to appear for the MPTRIFAC written examination for the Assistant Grade I, Assistant Grade II/Computer Operator positions on 22nd September 2018, they should carry the MPTRIFAC Assistant Grade 1, 2 Hall Ticket 2018 for the exam center. The MPTRIFAC Assistant Grade II/Computer Operator Call Letter 2018 is a mandatory document for the written examination. All the applicants should download the MPTRIFAC Admit Card 2018 from mponline.gov.in. Applicants have to use the credential information to download the MPTRIFAC Assistant Grade I, II Admit Card 2018 from the organization web portal. For the benefit of the candidates at the end of this page, we have arranged a link to download the MPTRIFAC Assistant Grade I, II Admit Card 2018. So all the competitors should use that link and get the MPTRIFAC Assistant Grade II/Computer Operator Hall Ticket 2018 rapidly. The MPTRIFAC Assistant Grade I, II Admit Card 2018 link will be activated on 7th September 2018 at the official website. The board authority of Madhya Pradesh Trade and Investment Facilitation Corporation Ltd has released a recruitment notification for 32 vacancies of Assistant Grade I, Assistant Grade II/Computer Operator posts. For this MPTRIFAC Recruitment 2018, the application process started on 27th July 2018 and the application process end date on 26th August 2018. Interested candidates should apply for the MPTRIFAC vacancies on or before the end date. The management of MPTRIFAC is going to conduct the MPTRIFAC written exam on 22nd September 2018. There is a limited time for the written examination. So all the applicants without wasting valuable time must prepare well for the test. For the comfort of the candidates, we have given some steps regarding how to download the MPTRIFAC Assistant Grade I, II Admit Card 2018 from the official website. So all the applicants should refer those details at the time of downloading the MPTRIFAC Assistant Grade I, II Admit Card 2018. candidates can find the importance of hall ticket, information on admit card, list of documents need to carry for the examination details from the later sections. Visit the official website of MPTRIFAC @ mponline.gov.in. Find MPTRIFAC Assistant Grade I, II Admit Card 2018 relevant link on the main page. Now enter Registration ID, DOB or Password details. 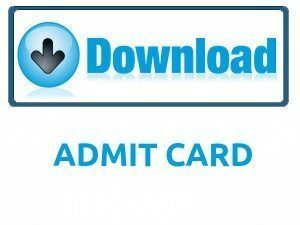 Later MPTRIFAC Admit Card 2018 will display. Take one copy of MPTRIFAC Assistant Grade I, II Admit Card 2018 to attend the exam. Hope the information existing about MPTRIFAC Assistant Grade I, II Admit Card 2018 has cleared your queries to the maximum possible extent. Candidates should download the MPTRIFAC Admit Card 2018 on 7th September 2018 and attend for the written exam on 22nd September 2018. Individuals should bookmark this web page Sarkari Naukri to know more details about all government jobs. Thank you.